BARRHAVEN TO WELCOME TWO HOTELS IN 2019! Barrhaven will welcome two new hotels in 2019 near Highway 416 on Strandherd Road at Fallowfield! Construction to begin fall 2018 or spring 2019. Conference facilities for up to 175 people. 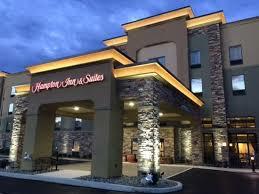 We are so excited to welcome both hoteliers to the area. Barrhaven is a thriving community, the fastest growing community in the City of Ottawa. Its population is almost at 90,000 residents. With the opening of the Vimy Memorial Bridge, our greater population is now expected to reach 125,000. We are home to the Citigate Office Park, the only modern, developing business park with direct access to a 400 series highway within the City limits. Just 5 minutes away sits our South Merivale Business Park, home to the RCMP headquarters and its almost 5000 employees. We are a quick 10-minute drive to Canada’s fastest growing Technology Park, Kanata North. A visitor to Barrhaven has immediate access to the 416 highway, a major City transit station, a VIA Rail station and major commercial services including the Barrhaven Town Centre. The Ottawa International Airport is a short, 15-minute drive. Downtown Ottawa, and all that it has to offer, is only 20 minutes by car. Barrhaven is home to numerous schools, parks and playgrounds. We have experienced extensive retail growth over the last several years. We offer a well-developed Town Centre with a movie theatre, many great pubs and restaurants, all major grocery stores, and a number of national chains such as Wal-Mart, Indigo Books Winners, Sport Chek, Starbucks and more. Barrhaven has 500 retail stores and services! We have three world-class sports facilities. The Walter Baker Sports Centre houses a public library and hosts numerous minor sports tournaments, year-round. The Nepean Sportsplex offers three ice surfaces and much more. Our new state of the art multi-use facility, the Minto Recreation Complex, opened in 2014. We now offer more space to accommodate the ever-increasing number of local sports leagues and tournaments. All of these incredible amenities are located within 4 km of the hotel site. 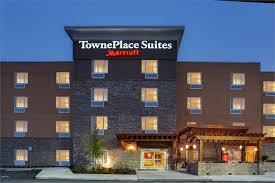 Welcome to Barrhaven Town Place Suites and Hampton Inn & Suites!